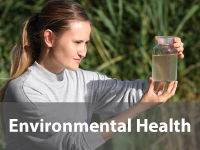 The Jones County Environmental Health Section provides control and prevention through a combination of surveillance, education, enforcement, and assessment programs designed to identify and abate the environmental conditions that adversely impact human health. Additional information, including Rules and Regulations, can by found for each program at the website of the Division of Public Health Environmental Health Section. Monday: 7:30 a.m – 6 p.m.
Tuesday: 7:30 a.m – 6 p.m.
Wednesday: 7:30 a.m – 6 p.m.
Thursday: 7:30 a.m – 6 p.m. The Environmental Health Section permits facilities and conducts quarterly Food Service inspections. The EH Section also provides education, investigates complaints, and assists the Epidemiology Section with Food-borne Illness Investigations. Environmental Health Specialists operate under the auspices of the Georgia Rules and Regulations governing Food Service, Chapter 290-5-14. The goal of the Rabies Control Program is to minimize the spread of the rabies virus in the human population. The EH Section conducts investigations and provides technical assistance to private physicians, veterinarians, hospital emergency rooms, and local animal control shelters by following the Rabies Control Law, O.C.G.A. 31-19, and the Department of Human Resources Rules 290-5-2. The EH section coordinates specimen testing with the Georgia Public Health Laboratory. See the Georgia Rabies Control Manual for more information. All Georgia physicians, laboratories and other health care providers are required by law to report patients with certain notifiable diseases and conditions including animal bites. 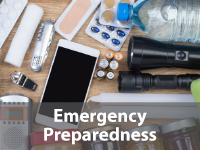 Animal control, veterinarians, and local law enforcement should also submit animal bite/exposure reports if applicable. Reporting of an animal bite(s) is not restricted to medical personnel and government employees. It is critical the Health Department receives notification of any animal bite presented in your facility. Rabies is essentially 100% fatal once symptoms are present and the Georgia Rabies Control Law requires that health departments be notified if an animal bite occurs. Tourist Accommodations include hotels, motels and campgrounds. The Environmental Health staff inspects Tourist Accommodations at least twice a year to ensure the establishment is providing a clean environment. The inspector will check to make sure linens are cleaned daily, cups and utensils are clean and sanitized and rooms are free of pests. The Environmental Health staff inspects swimming pools at least twice a year for seasonal pools and three times a year for pools that are open year round. Inspectors make sure that pool chemicals are sufficient to protect swimmers from recreational water illness. Don’t swim if you have diarrhea. Shower before entering the pool to keep body oils and lotions out of the pool. Change diapers in the bathroom and wash children well before entering the pool. Children need frequent bathroom breaks to avoid accidents in the pool. Wear sunscreen to prevent sunburns. Reapply often. Monitor children while they are in the pool. The most common waste water management system is a septic system. A septic system consists of a septic tank and an absorption field. The tank separates the solids from the liquid. The liquid is dispersed through the absorption field. The water is treated by the soil to remove harmful microorganisms such as bacteria and viruses before it reaches groundwater. The solids left behind in the tank are broken down by bacteria. It is important to have the sludge in the septic tank pumped out on a regular basis, generally every 3-5 years for the average family (2-4 members with a 1000gal tank). Conserve water. Wash full loads of laundry and dishes. Don’t do all of your laundry in one day. Fix any leaking fixtures. Use pipes to direct rainwater from gutters away from your absorption field. Use commercial cleansers and anti-bacterial soap in moderation. The cleansers will kill the natural bacteria found in the tank that help break down solid waste. Do not plant trees or bushes near or on top of the absorption field. Roots will block the lines causing failure. Do not drive across the absorption field or tank. This could cause the lines or tank to be crushed resulting in costly repairs. Do not pour grease, oil, paint or chemicals into the system. Do not put anything that is not biodegradable into the system. This includes disposable diapers, feminine hygiene products, cigarette butts, etc. Chemical additives that are sold to help reduce how often a tank is pumped are not recommended by the Health Department. Private wells use ground water as its water source. Ground water can become contaminated in many ways. Malfunctioning wastewater treatments (leaking septic systems or sewer overflows), naturally occurring minerals and farming practices can all contribute to well contamination. It is your responsibility to keep your well free from contamination. Contaminated wells can cause serious illness not only for your family, but for other households that use the same aquifer for their water source. There are steps you can take to protect your well from contamination. Maintain your septic system to avoid sewage discharge. Pumping your septic tank on a regular basis (see the GA Department of Public Health website for recommendations), conserve water to avoid overloading the system and use anti-bacterial soap and commercial cleaners in moderation. Regularly inspect wells for damage. If your well is damaged call a licensed well driller for repairs. Don’t discard chemicals near your well. Have your well tested annually and regularly disinfect your well. Before non-public water well can be installed, the homeowner or authorized agent must first apply for a permit with the Environmental Health Department. 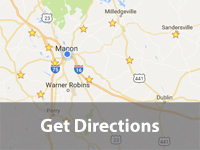 The application fee and permit includes a site evaluation to determine proper location of the well. It is the owner’s responsibility to notify the Environmental Health Department once the well has been installed. At this point an Environmentalist will revisit the property and take a sample from the well and notify the owner of the results. All individual and non-public wells shall be curbed at the surface by the owner with watertight curbing of concrete at least four inches thick and extending at least two feet in all directions from the well casing and sloping away from the casing. It is recommended that owner’s of individual and non-public wells have an annual sample taken for bacterial testing to ensure that the well is a safe source of water. Wells must be installed in accordance with State Regulations and all applicable well information (Intents to Drill, Well Data Sheets) must be submitted to the Health Department, Environmental Health Section. Follow permit issued by the Environmental Health Department. Make sure well is installed in proper location following state/county mandated setbacks from potential sources of contamination (refer to Georgia Water Well Standards Act). After the well has been installed, the driller is responsible for disinfecting the well before any use of the water. It is recommended that your well water be tested annually for bacteria and a chemical analysis (W-33 analysis) every 3 years. The Environmental Health staff at can test your well for coli form bacteria. Please contact our office at for additional information.